Color image of Honeywell H-1640 Series Timesharing Systems. In background are two identical cabinets. 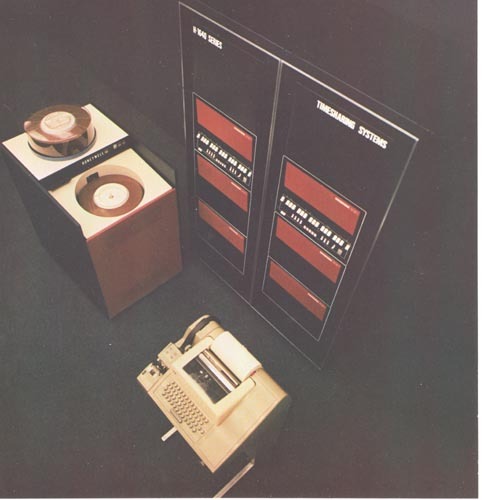 In front two disk drives and a teletypewriter.